Landmark Books opened in 2013 in the historic Traverse City State Hospital in Traverse City, Michigan. We specialize in hard to find hardcover literature, poetry and modern fiction and we carry the areas best selection of out-of-print Michigan books. We offer a number of services in addition to selling amazing used books. Landmark Books also offers book searches for the books you thought you could never find. With over twenty years in the business we also offer appraisal services for single books or large collections. Landmark Books can also build your home library, we can help you create a list of books and locate them for you and if you don’t have shelves, we can help you there as well. Landmark Books is located in the beautifully restored State Hospital of Traverse City, Michigan. Call us, visit us, or email us with the information below. 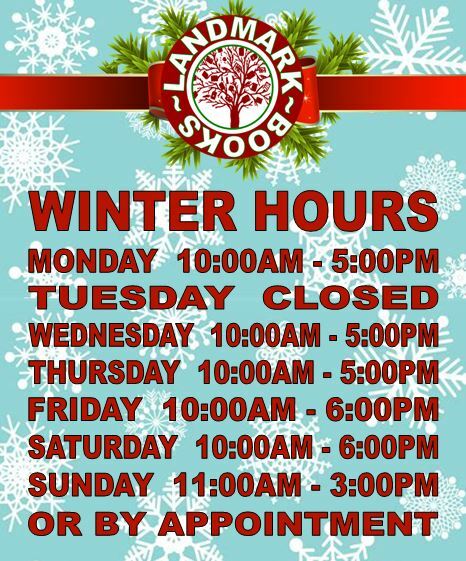 Landmark Books is open year round Monday-Thursday 10:00am to 5:00pm, Friday-Saturday 10:00am to 6:00pm and Sunday 11:00am to 3:00pm. 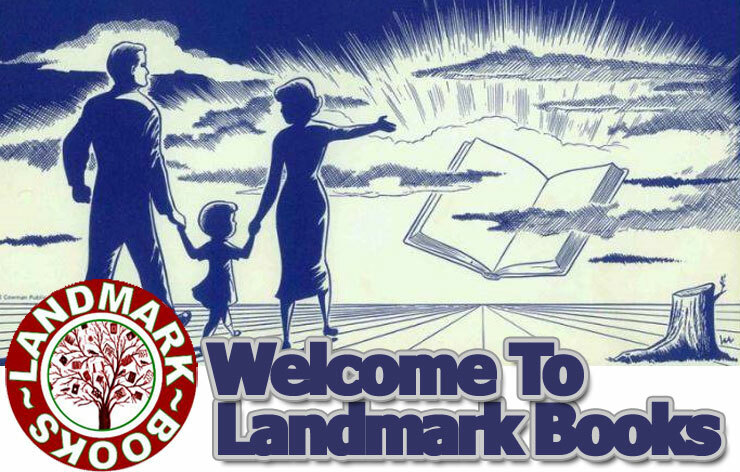 Visit the Landmark Books facebook page and keep up to date with the latest book news and happenings at our store. 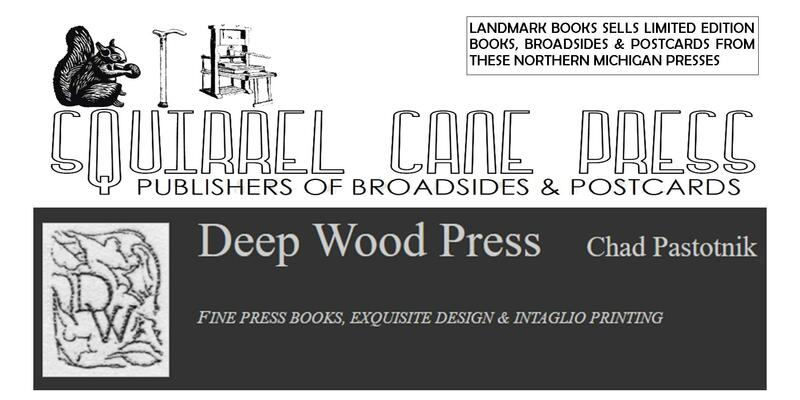 We proudly represent Deep Wood Press, makers of fine hand bound books. These books can be found in the special collections of Harvard, Oxford and MOMA. Landmark Books also publishes limited edition broadsides and postcards by local and national writers under Squirrel Cane Press. Landmark Books is owned by Paul Stebleton, a book collector and published author who began collecting books in college. Stebleton is a Hopwood award and Gwendolyn Brooks award winner. He is the author of, “Bus Station Meditations”, "Grandma Returns To the Earth" and "Short Order Poems", and you can find his works in poetry journals across the country. 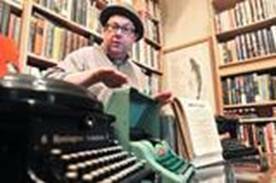 He has worked in the book business for over twenty years as a bookseller at both independent stores and major book chains. He began selling used books in 1994 and opened Book-O-Rama in 1997. In 2013 he opened Landmark Books and achieved his dream of being a full time bookstore owner. 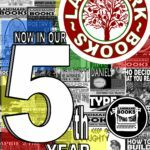 Join the Landmark Books Typing Team! 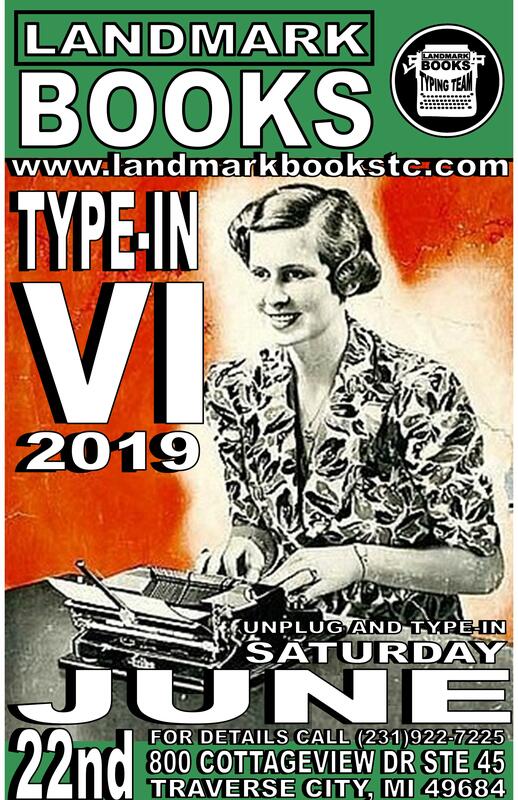 Landmark Books carries a great selection of vintage typewriters and can order new ribbons for your machine. 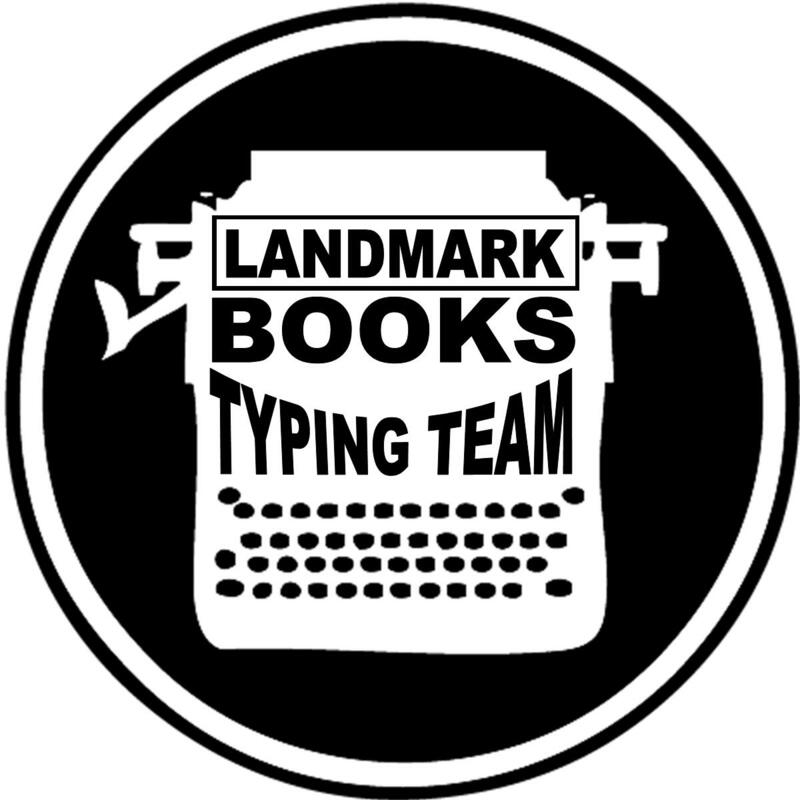 Join the Landmark Books Typing Team today! 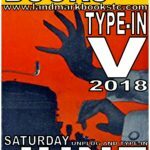 Join us next June 22nd, 2019 for Type-In VI.